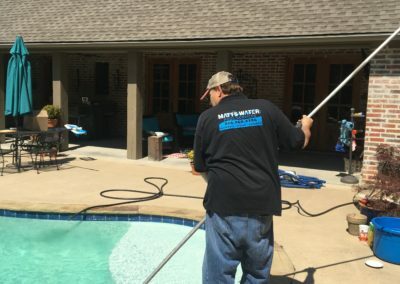 Matthew Vassallo started Matt’s Water Pool Services back in October of 2010. 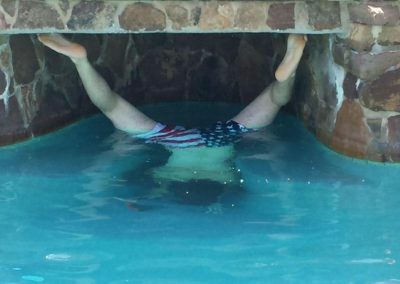 It was at this time that he knew his calling: help others with their pools in any fashion possible. 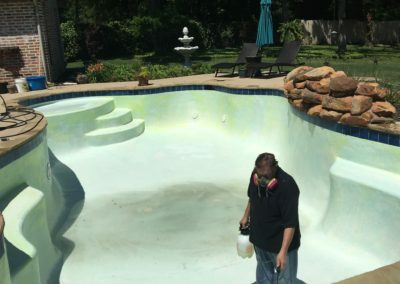 His constant mission: helping other learn how to love their pools. 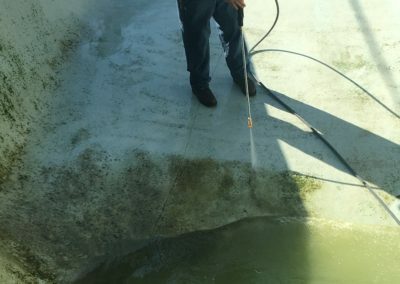 Now, in 2018, he still strives for that daily, still going out into the field, draining and mucking out pools, checking chemicals, and making general maintenance repairs; doing anything and everything he can to help his current and future customers in any way possible. This is the face of the company. But he isn’t alone. He has his family to back him up. His wonderful wife, Kathy. His loving children, Bailey and Seth. And his soon to be son-in-law, Brent, are all right there by his side, doing whatever they can to make sure they all succeed. This is a true family business. 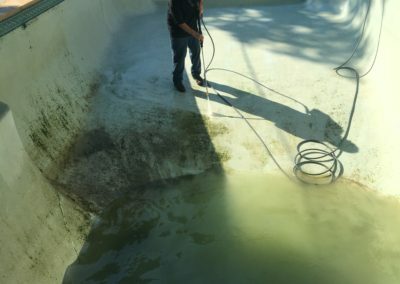 Matthew Vassallo started digging pools when he was sixteen years old. It was a job and it paid the bills. 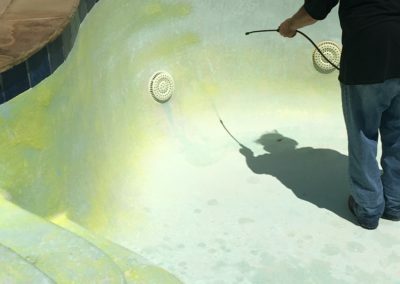 But, when he started learning about the excavation of pools and all the equipment, he just couldn’t learn enough. He started sneaking onto machines when nobody was looking, just so he could learn. He started making strides and soon became a crew leader and the sky was the limit for him. He continued to excel at everything he did, through just sheer grit, determination, and just a love for what he was doing. He had found his calling. 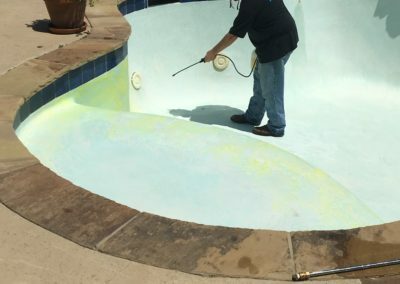 He then went on to the business side of the pool industry and became a pool salesman. Here he would hand draw each pool that he sold, including the construction layouts for the builds themselves. While doing this, some his of jobs where worth upwards of a half a million dollars. 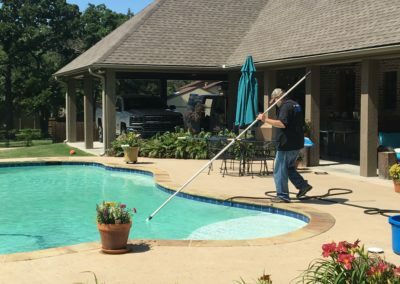 But he doesn’t just do pools, no, he can and has done everything in regard to outdoor living. He has sold and installed putting greens, tennis and basketball courts, shade structures and outdoor kitchens, to name a few. 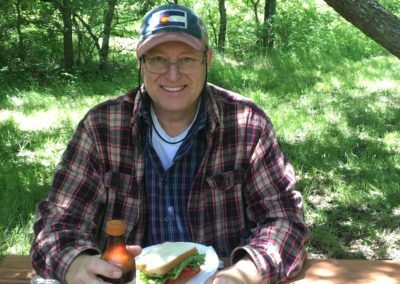 This man works with municipalities and commercial projects alike and has not only been licensed in the state of Texas, but also has his small appliance license as well. Now, thirty-five years later, he calls his home Corsicana, TX, after moving from Richardson, TX, and is still working hard every day to provide for his family and himself. His other half, Kathy, has been married to Matthew for almost 24 years. 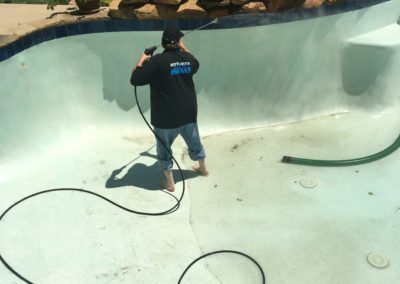 She personally has been in the pool industry for 18 years and has many of the same experiences as Matthew. 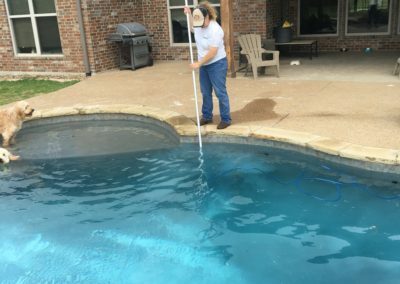 She too has experience with the excavation of pools and is currently our daily pool cleaner. She has a lot of experience with parts, she is our brick and mortar store manager, and has developed our current pool route from scratch. 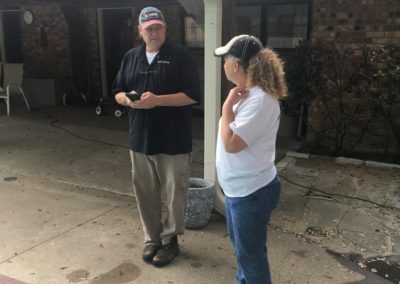 Coming down to Corsicana was a huge shift for the business and she took it in stride, helping set up our store and cleaning pools meticulously every single day. 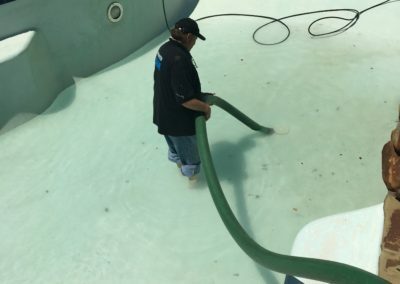 She has a knack for getting people to like her and she always does her best every single day to keep the pools clean and the customers happy. Without her hard-working and can-do attitude, this business would not be where it is today. She is always eager to help and does what she can to her upmost ability. Seth is the youngest of Matthew and Kathy’s children at 16. 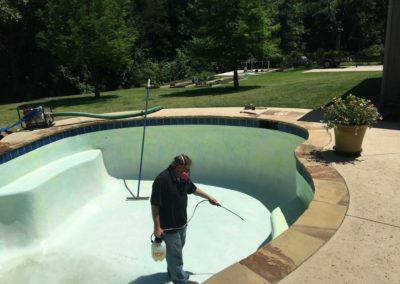 He has grown up in the pool industry and has been hitting the field with both is mom and dad since he was about ten. 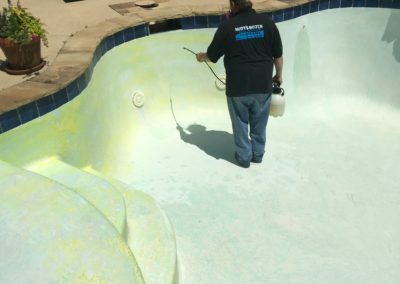 He has done everything from helping with repairs to cleaning pools and checking their chemicals. Since he is still in school, he can only help during the summer and the winter, but he is always willing to help in any way he can. Seth is currently a straight A student and finished last year as salutatorian. He plans to go on into college to peruse a degree in engineering. Bailey is the oldest of Matthew and Kathy’s children as she turns twenty-one this October. 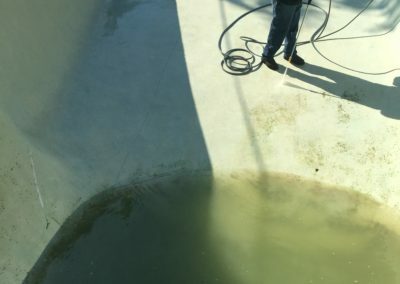 Bailey started going out into the field and cleaning pools when she was in third grade. She loves the water and likes to keep it clean and fresh. 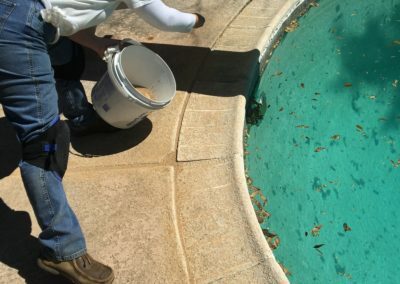 Whenever they were living in Richardson, she was their pool girl, as she was always checking the chemicals and keeping them in check as well as running a net after any rouge leaf that managed to make it into the pool. Bailey is currently a full-time bank teller, but even with that, she still runs the social media for Matt’s Water Pool Services. She has always been supportive of the family business and helps however she can, even if her life is taking her in other directions. 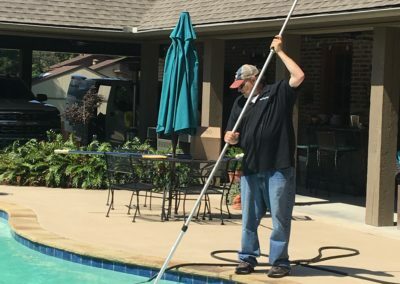 Brent is the newest to the crew, joining Matt’s Water Pool Services back in February. Brent is engaged to Bailey and they plan to marry August of 2019. Brent is their tech guy of sorts. Soon after joining, he redesigned their website and added on an online store. He now manages their website as well as both the brick and mortar store and the ecommerce store. With this, he also runs their pool design program, so that when it’s time to build, he can have a drawing fast (it’s much easier, and faster, than hand drawing the pools if anybody was wondering). When the Vassallo’s moved from Richardson to Purdon two years ago, it was so that they may reshape their business and themselves, to ensure a more family orientated business. This was the business model to start, and Matthew has made every effort to keep it that way. He believes in equality for all and even though it’s his name on the door, he wants everybody to have a piece of the pie. 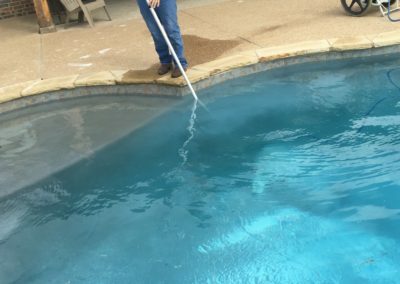 His goals now are simple; become more engrained in his communities, which include but are not limited to: Corsicana, Ennis, Waxahachie, and Richland Chambers, just to name a few, and to continue to educate pool owners and future pool owners alike in the best practices and techniques available for pool care.